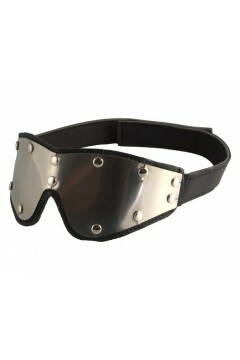 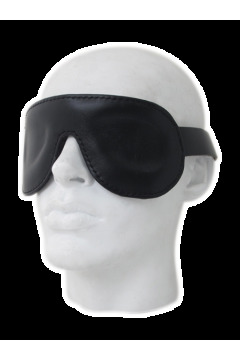 Soft black leather blindfold is padded for extra comfort. 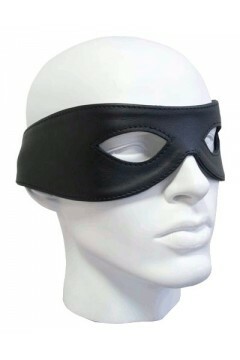 It's held in place by a black leather band. 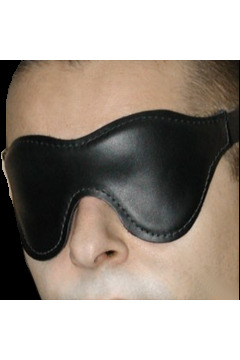 Good quality, very comfortable.